Have you been missing a tooth or teeth for a while or tired of wearing a loose denture? Dental implants can help address these issues. A dental implant is actually a root replacement made of titanium. This is placed directly into the jawbone where bone cells grow and adhere to it. In a few months, these bone cells attach to the implant, strengthening the implant to the jawbone giving it a very high long-term success rate (≥95%). Then the crown, bridge or denture can attach to the implant(s). Why is it important to replace badly broken teeth or gaps? As soon as teeth are missing, there is an imbalance created in your mouth. The adjacent remaining teeth can tilt and shift to fill in the gap. This could further lead to gum and bone issues as it may become more difficult to keep clean or interferes with patient’s chewing abilities. Due to this, it is not uncommon for this to lead to losing several other teeth over the years. Losing a tooth can put a lot of emotional stress on someone. In varying degrees, we are all somewhat concerned about our appearance, and it affects our confidence as well. To lose your perfect smile can cause depression and loss of confidence, which in turn may affect your work and/or personal life. Dental implants are often effective in boosting the patient’s morale and overall confidence. Since it is very difficult to see a difference between a replaced tooth and a natural one after the procedure, it can positively impact one’s physical appearance. Having a broken tooth with sharp edges or exposed roots can cause discomfort especially while eating. It would be hard to chew a nice juicy piece of meat or other foods you may have once enjoyed simply due to pain or discomfort. In a way, losing your ability to properly chew food could stop you from enjoying a very big part of your life. Thanks to Dr. Kang for this great explanation of dental implants. Posted on February 25, 2019 February 26, 2019 Leave a comment on Dental Implants. Marijuana, Pot, Cannabis, Grass, 420, Ganga, Weed, Joint. These are only a few names for this street drug that has become legal in Canada on October 17,2018. I never thought that I would be writing a blog about Cannabis so openly but ever since the legalization in Canada I have been more aware of the side effects than ever before. As you may or may not know cannabis is a psychoactive (mind-altering) drug from the Cannabis plant used for medicinal or recreational purposes. You can consume it by smoking, vaping or eating edibles. Despite the medicinal benefits it may have, you need to be aware of the oral health effects. 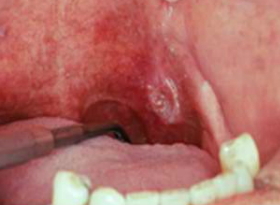 ORAL CANCER. Like cigarettes, cannabis smokers are at higher risk of developing oral cancer from the drug itself and the carcinogens in the smoke. It can lead to oral tissue damage that can become malignant. DRY MOUTH. Dry mouth is more than just a dry feeling in your mouth that you may be able to relieve temporally with a glass of water. It has long term effects on your gums leading to certain gum disease and on your teeth increasing risk of cavities. DENTAL PROCEDURES. When you consume cannabis you increase the risk of bleeding that can cause problems during extractions and delay healing. Also the effect of dental anesthetic may be altered along with other medications you are taking. Please avoid using before any dental procedures to avoid possible complications. CANNABIS EDIBLES. Although you may think them to be yummy, hidden sugars in your baking goods can be harmful to your teeth. MUNCHIES. People are often very hungry after consuming cannabis so be sure to rinse with water and brush after you eat your snack. STAINING. Cannabis smoke stains the teeth. Your yummy edibles cause the lose of tooth enamel and increases cavity risk. So before you let Cannabis go to your head… or your mouth, speak to us if you notice any changes in your oral health before it becomes too painful and too costly. We are here to help.